Are you craving sugar after your TBI? Is your sense of smell and taste off since the accident? Has your appetite diminished? Are you battling fatigue and mood swings? Well, these are just a few of the changes you may experience after a mild traumatic brain injury. However, eating a balanced diet and taking the right supplements because of your changing nutritional needs after a mTBI are some of the things you can do to combat these and other symptoms as panel members revealed at the June 8, 2018, Brain Injury Survivor Series luncheon at Rocky Mountain Human Services. The luncheon is part of a series presented by the Brain Injury Hope Foundation through a grant from the Spalding Hospital Volunteer Foundation. “Onions, garlic, asparagus, raw bananas, fruits and veggies are some good sources of prebiotics,” said Aaron Wiener of Craig Hospital. Other sources of prebiotic foods include dandelion greens, artichokes, chicory root, oats, apples, flaxseeds (grind before use), cocoa beans. WAIT,chocolate? Yes, chocolate is not only a good prebiotic, it is especially good for your brain, according to the New England Journal of Medicine and Frontiers in Nutrition. However, the chocolate you choose must be dark chocolate, high in cocoa, not milk chocolate. So check your cocoa content to make sure it’s 70 percent or higher. Now that you got chocolate on your plate and you are flourishing your gut with prebiotics and probiotics, what else can you do to aid your recovery from mTBI? Not just any snack will do, choose whole foods that Mother Nature intended, not the processed food varieties that invade the American diet.Also adding protein in the form of eggs, lean meat and nuts will help keep the brain fueled. “It’s not just what you add to your diet, it’s what you take out,” said Terry L. McArthur of McArthur Nutrition Consulting whose philosophy is — keep it simple, some assembly may be required. “You have to stop eating the pro-inflammatory foods – processed foods such as bacon, sausage, hot dogs, and deli meats. Antioxidants are especially helpful as the brain consumes more oxygen than any other organ in your body. When the body uses oxygen it creates free radicals that can damage cell DNA and membranes, and cause inflammation (See Craig Hospital article and recipe). Foods high in antioxidants inhibit the production of free radicals. 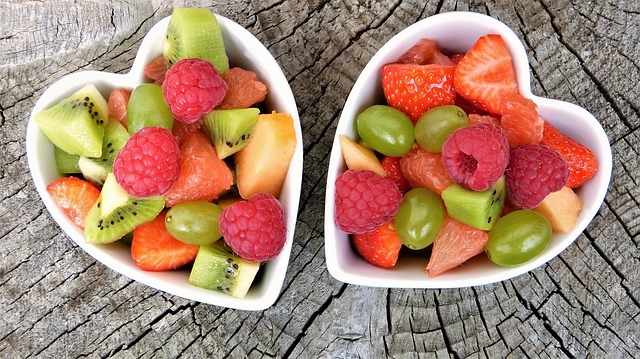 Soinstead of reaching for simple sugars such as gummy bears and soft drinks grab some fiber-rich fruit – apples, berries, peaches, plums — and pair it with proteinand fat to avoid a sugar rush. Sometimes with a head injury the sense of smell and taste are diminished, so in order to bring some joy back to your eating add foods with texture. For the crunch factor choose nuts, seeds and popcorn instead of potato chips and pretzels to up the nutritional factor. One thing to remember with a loss of taste and smell is to keep a handle on your food and the expiration dates. And label leftovers to make sure you are not eating food that has spoiled. And when in doubt, throw it out. Which diet is best after a brain injury? The one that works best for you. Yes, it sounds simple, but remember what works for your friend may not work for you as every brain injury is unique. So try different diets. **We all ate a Mediterranean meal prepared specifically for us by Biscuits and Berries that was also gluten and dairy free and participants LOVED it: Lemon Rosemary Chicken, Quinoa Casserole, and Vegetables. The Brain Injury Hope Foundation and CTAT, LLC wanted to make sure we “modeled the way” and ate a healthy meal that was consistent with our topic and fed our brains in the best way possible! The ketogenic diet was created in the 1920s to help kids with epilepsy, but the diet is not for everyone according to this Mayo Clinic video. Ketosis is the result of the diet where you burn fat instead of carbs for energy. There are side effects with this diet that can include constipation, fatigue, headaches, dizziness and muscle cramps. “The research is in the infancy,” Sorci said. However, she said the ketogenic diet has been effective in treating acute cases. All the panelists agreed that food is the best way to get your nutrition; however, adding supplements can fill in the gaps, especially after a brain injury. One of the supplements recommended is fish oil, but with a word of caution as it can affect the patient’s medications and thin the blood. So make sure your fish oil has been treated to remove any mercury, PCBs and dioxins, which should be listed on the label. According to Dr. Amen in his book Making A Good Brain Great a large portion of the brain’s gray matter is made up of DHA, which is found in fish oil. Neurons are also rich in omega-3 fatty acids that are in fish oil. Phosphatidyl serine (PS): Aids in the proper release and reception of neurotransmitters in the brain and helps memory. GlyceroPhosphoCholine (GPC): Helps to sharpen alertness, reasoning, information processing and mental performance. Brain Vitale: Consists of PS and acetyl L-carnitine. Before going “hog wild” by adding all of these supplements, all the panel members recommended you work with your doctor and/or a nutritionist to avoid conflicts with medications, to find the correct dosage of supplements and to find the right diet for you and your recovery. And as Wiener emphasized: Enjoy your food.